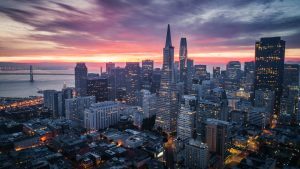 Operated by Digital Realty, customers can take advantage of their metro footprint to access additional data facilities throughout the San Francisco Bay Area. In addition to providing access to NewCloud’s cloud services, this location also provides access to leading local internet exchanges ensuring top performance of multi-cloud and hybrid architectures. One of the premier carrier facilities in Northern California, NewCloud’s data center at 200 Paul Avenue is located south of downtown in one of the largest colocation markets in the United States, and has been seismically rated for protection against earthquakes.